Australians’ work is becoming less secure. Around 40 percent of workers are engaged either as casuals, on short-term contracts, in labour hire, or as “independent” contractors. They have no sick leave, no holidays, no job security, and little bargaining power. The ASU is fighting to keep secure jobs that people can count on. 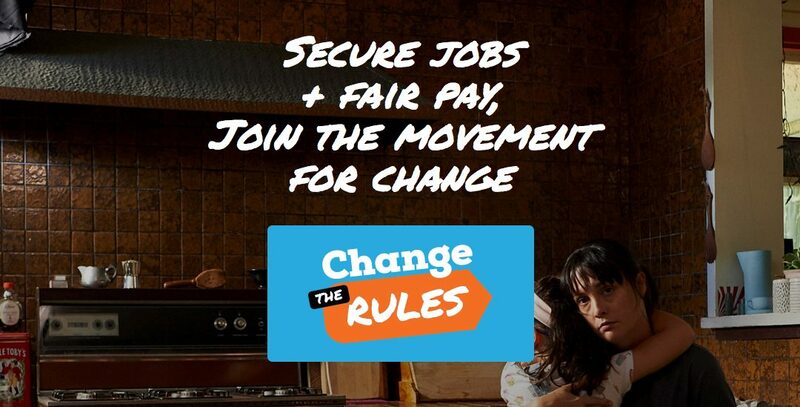 In addition to fighting at the workplace level for secure jobs that people can count on, the ASU campaigning to Change the Rules and making sure member’s views and interest are heard by government. The ASU has recently made a submission to the Victorian Government’s inquiry into the ‘gig economy’. The ‘gig economy’ features work that is usually temporary and short term; without guaranteed hours or income; and without the protections of National Employment Standards. And in our submission to the review of the Local Government Act in Tasmania, we detailed as a key principle that Local government should be employers of choice providing best practice working conditions, security of employment and protection for workers. This is part of our work to protect, promote and extend the working conditions and entitlements of members.